Amy has more than 25 years of experience in public accounting. Her career began with Deloitte where she worked in the attestation practice. Amy’s broad experiences include audits, reviews, and compilations of financial statements. 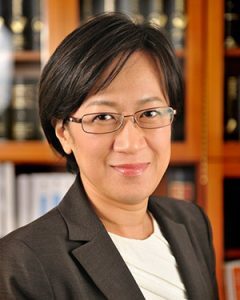 Her tax practice consists of tax planning and compliance for medium-size domestic and multinational companies, as well as small to medium closely-held businesses. She also maintains a client base with real estate partnerships, high-net-worth individuals, and multinational families. Amy’s practice includes choice of business entities, structure evaluation, and assisting clients in handling tax controversies and disputes. Amy serves clients in the distribution, real estate and technology sectors.